Depressed by the poor quality of food that is increasingly accepted by today's families, a young mother wrote her own food manifesto called The Modern Family Table: Savoring Fresh, Whole Foods with the People You Love. Dec. 16, 2011 - PRLog -- What is the modern family table like? And what are families eating these days? When considering these questions, food writer and young mother Pamela Ellgen realized we’ve been lead astray. In watching her friends, national marketing campaigns and even school lunches, she realized we are lead to believe “Kids like neon cheese crackers, mechanically separated chicken fingers, and vegetables only when they’re juiced and boiled to death.” That’s what food marketers would have us believe anyway. But the Pacific Northwest-raised food-renegade doesn’t buy into the modern message young families are receiving. She has a better idea. 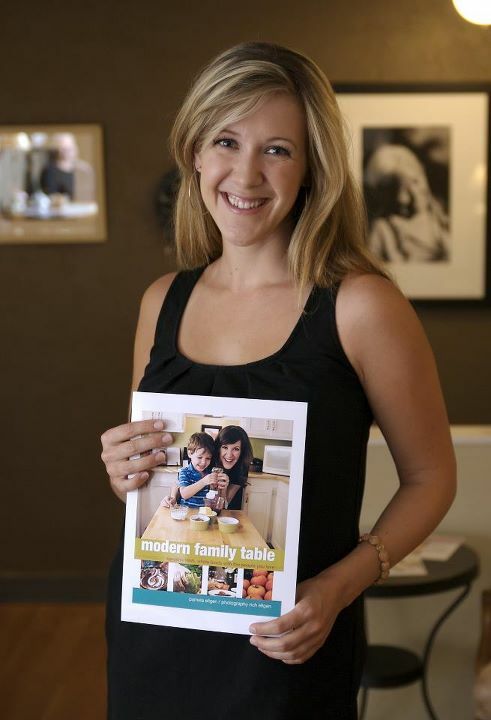 Ellgen has launched her food manifesto, Modern Family Table: Savoring Fresh, Whole Foods with the People You Love. Together with her husband of 8 years, the two have created a cookbook that takes food, health and community into consideration. Ellgen believes making meals the result of artful preparation, appreciating the interplay of flavors, and finding opportunities to savor every delicious bite is possible for the working Mom and Dad. The proof is in the pudding… or the Ribollita Italian Bean Soup… that is. Ellgen believes the art of preparing and enjoying food as an integral part of the family experience is healthy. She believes food is meant to be enjoyed and doesn’t have to make you fat. And she just might know what she’s talking about, Ellgen is a board Certified Personal Trainer with the National Academy of Sports Medicine. Modern Family Table is published by Goops Unlimited. More information can be found at www.thegoops.com/modernfamily.php.